Alexandra Lange: What does a presidential building look like? Image by DBOX for The Obama Foundation. On February 27, former President Barack Obama made a surprise appearance at a meeting at Chicago’s McCormick Place, the sixth public presentation on the plans for his presidential center in the city’s Jackson Park, currently under city and federal review for its impact on the historic landscape and environment. 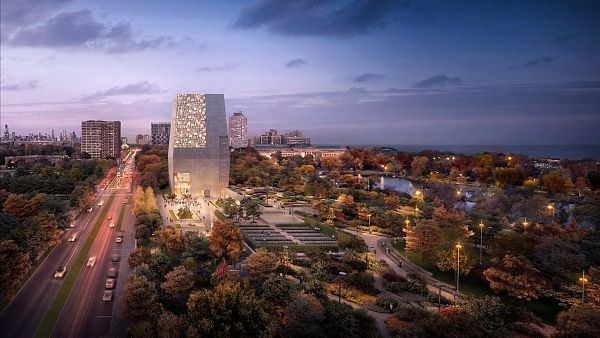 Obama’s unannounced speech seemed intended to calm the waters, which have become unexpectedly rough for what should have been smooth sailing: the first urban presidential center, in his adopted hometown, in an area that has long suffered from disinvestment.